Apparently when I don’t superduperlove working with a fiber, I spin it with abandon and it flies off the spindle quite quickly! 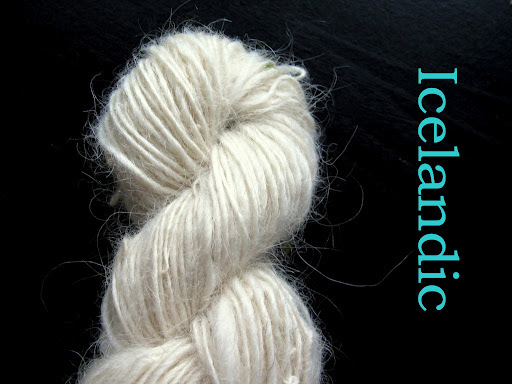 This Icelandic wool was actually quite easy to spin. It drafted very well so there was not much spindle dropping with this one. However the fibers were very long and fly-away, which you can see in the photo above, and I didn’t love handling them. The finished yarn did soften up more than I expected in the wash. This is one I’d be especially curious to see knitted up, I can’t quite picture what the fabric will look like. Perhaps I will start swatching all of my Spinner’s Study breeds soon. Onto the next! According to the Fleece & Fiber Sourcebook, Gotland is another breed that is part of the Northern European Short-Tailed Family (the third that I’ve spun so far, the other two being Finnsheep and the Icelandic). It is a Swedish breed that is also developed in Britain, New Zealand, and North America, with different strains having different characteristics. The F&FSB describes this wool as “unusual, resembling a fine mohair or an English luster longwool” with which I agree. The top I have has a very dense quality to it and when I start fluffing it up it feels softer and very silky. I think my favorite thing about it is the natural grey color, which is just lovely. 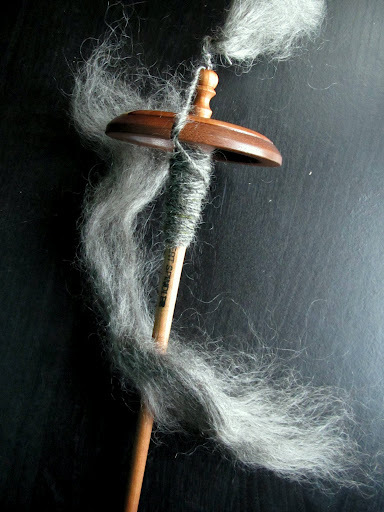 I’m still getting the hang of spinning it, drafting is a bit difficult due to the top’s denseness and the fiber’s silkiness, but it seems to be spinning up much like the Finnsheep and Icelandic breeds: on the less-fluffy-side with some ends sticking out. The staple length is usually between 3-7 inches and the fiber diameters vary, with fleeces from New Zealand averaging 27-34 microns and those in Britain being coarser, around 35 microns. Gotland spans the medium-coarse range but it has this really great luster that I am excited to see in the finished yarn. Super fun fact: Gotland wool was used to make the elven cloaks and other costumes in The Lord of the Rings movies! If you’ve got about $730 lying around, you can even buy one of your own. The Stansborough farm in New Zealand has a pretty neat story, I encourage you to go read it. They’ve developed their own flock of “Stansborough Greys” from the Gotland sheep and now sell the wool and weave fabrics used for costuming in many movies. Who knew Hollywood was so authentic and eco-friendly, right? I hope whomever has those cloaks now makes good use out of them. They must be absolutely lovely. This is Polwarth wool from Woolgatherings in a great purple color. I have two braids of it and am planning to chain-ply it when I’m finished. 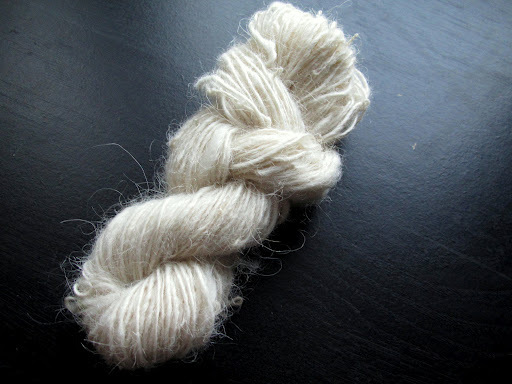 This will probably be on the spindle for a while but should result in some very soft 3-ply DK/worsted-weight-ish yarn. 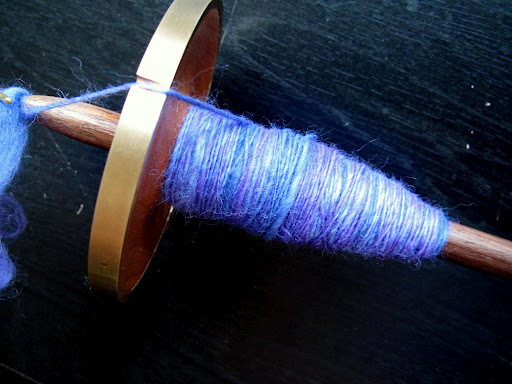 Anything special occupying your spindle or wheel lately? Oh so fluffy! I love it! I want some now! Right now ! haha. Thanks for sharing. Both of those yarns look great! 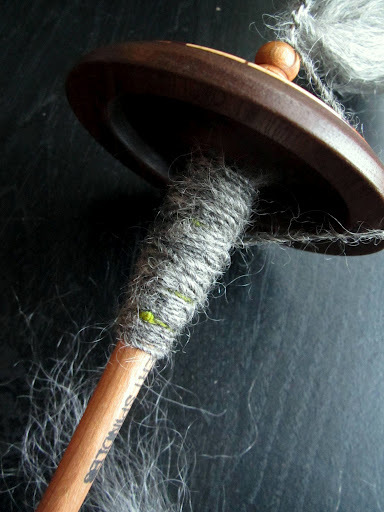 Seeing you spin all these new types of wool is seriously making me want to try! Wow! Beautiful spinning, as always. I've always wanted to get my hands on a Stansborough Grey fleece. 🙂 Looking forward to reading more about your breed study! Thanks, Sara! I bet the fleece would be amazing. I enjoyed my little Gotland sample.